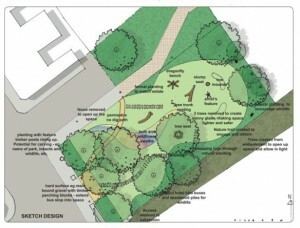 The Council has released plans to refurbish the small park near the Falcon estate. 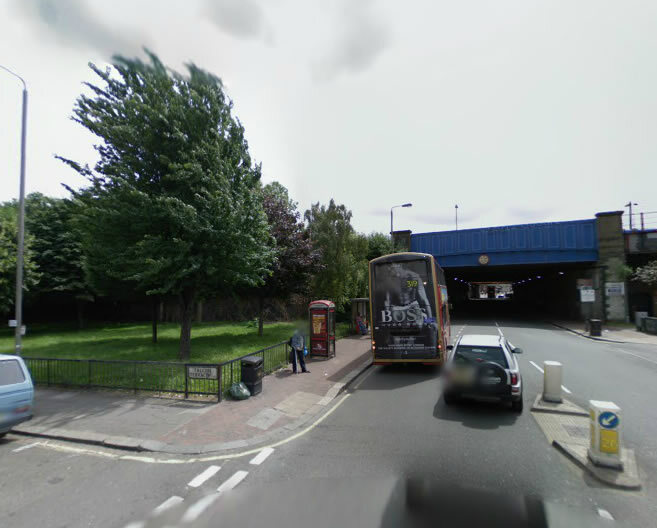 The site is on the corner of Falcon Road and Falcon Terrace and is bordered by a railway bridge to the south. At the moment the piece of land is not very attractive, with some grass and a few trees. Current location, at the corner of Clapham Junction’s bridge. The spot, which is set to be named Falcon Glade, will undergo extensive landscaping and also benefit from the planting of new shrubs and wildflowers as part of a £40,000 improvement scheme. According to Wandsworth Council press release, new seating will also be provided, including some around the trunks of larger trees, while new pathways will be laid and fencing removed to open up the space and make it more welcoming. The work will also include a range of measures to promote greater biodiversity, like using log piles, bird boxes and insect boxes to encourage other wildlife. Selective planting of flowers and shrubs to provide nectar, pollen, fruits and seeds will also contribute to the eco-food chain. The cost is estimated to be £38,000 and on Monday 11th November, the Mayor of London announced that the scheme will be included in his ‘Pocket Parks’ initiative, which means that half of the project’s cost will be provided by Mayoral funds. This project is an additional step towards the improvement and regeneration of the whole area which is likely to be completely different within the next two decades.